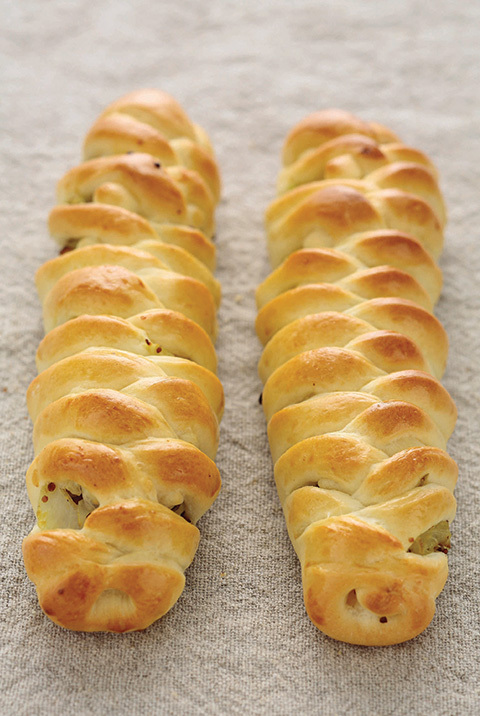 "Best savory bread recipe! 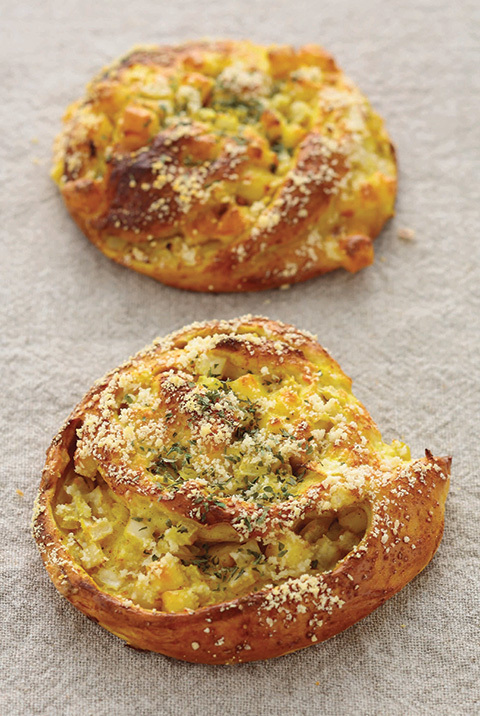 Unique combination of curry and cheese!" 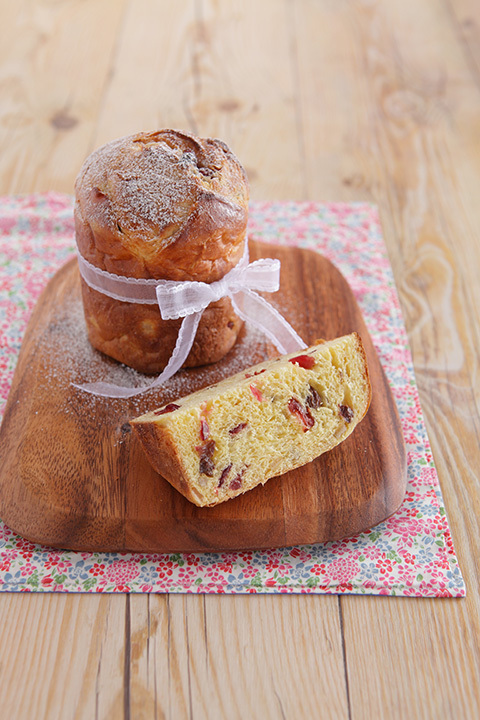 "It smells heavenly, soft to the taste with a tinge of sweetness! 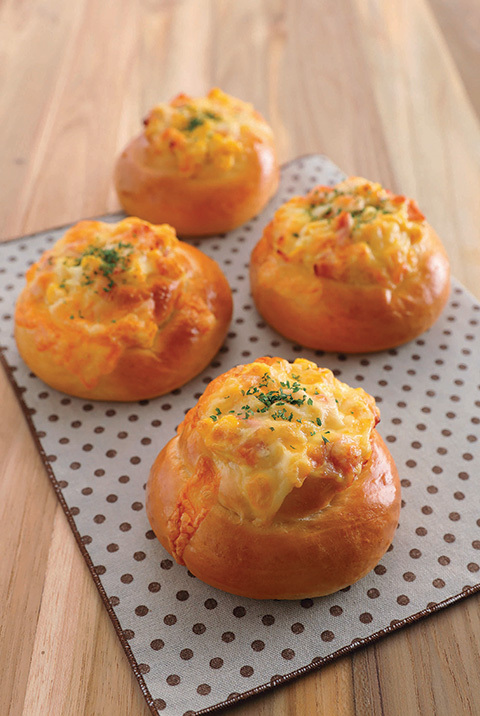 Makes you crave for more and cannot stop eating it!" 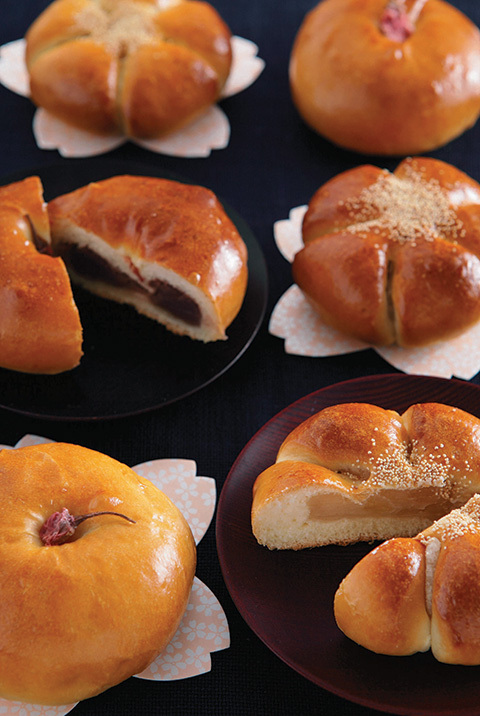 "I love the “surprise” mochi inside the bread. 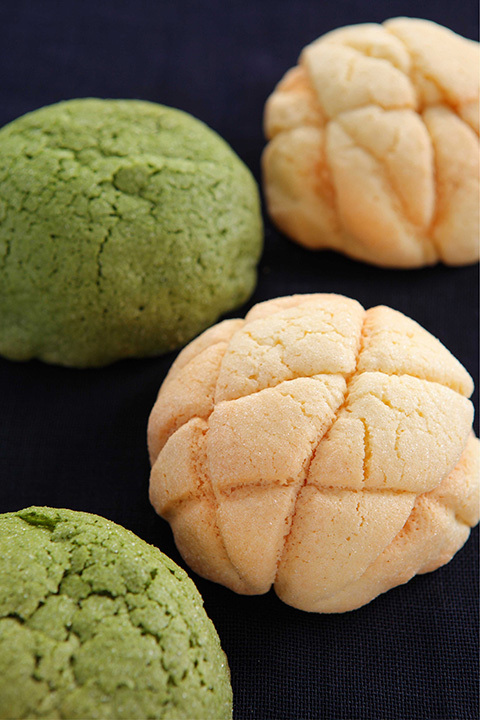 Unique texture!" 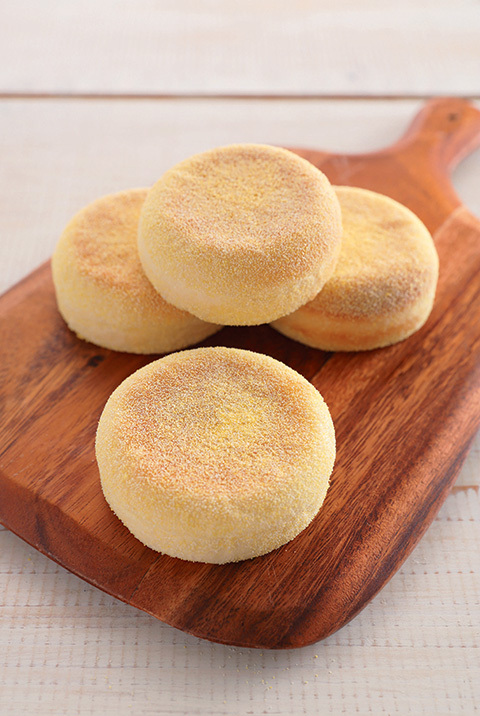 "Surprisingly tender with a savory sweet profile. 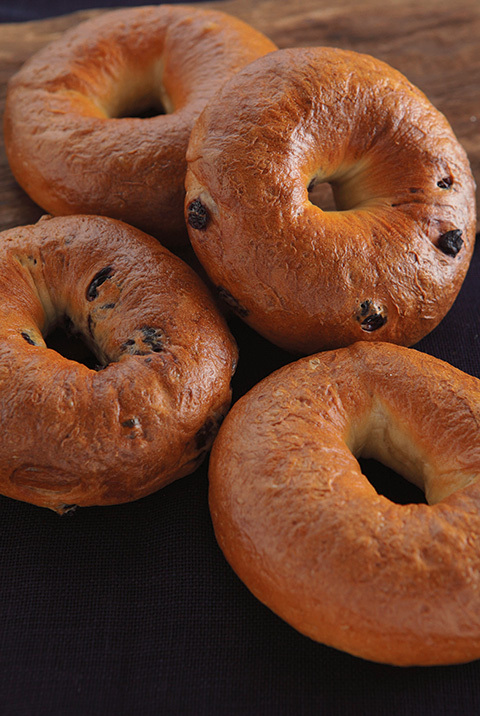 Perfect for breakfast or as sandwiches." 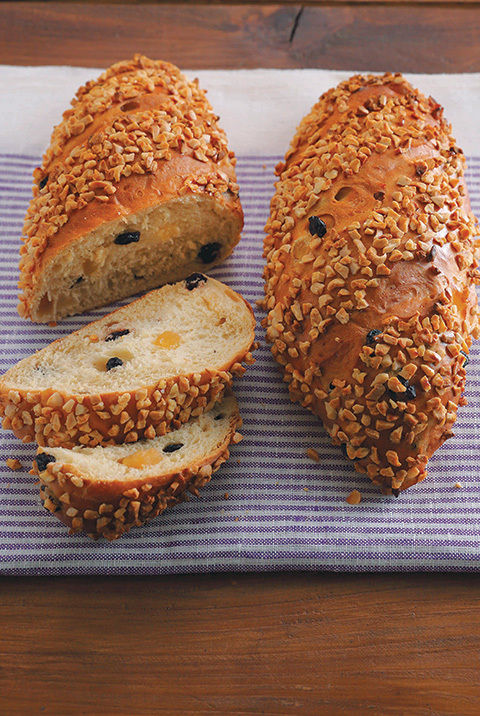 "This bread is heavenly - fragrant blend of earl grey with lemon - so perfect!" 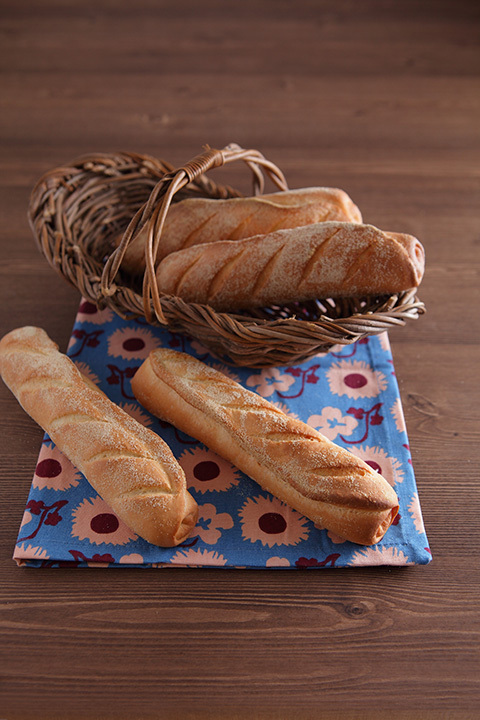 "Recipe is versatile and bread is yummy!" 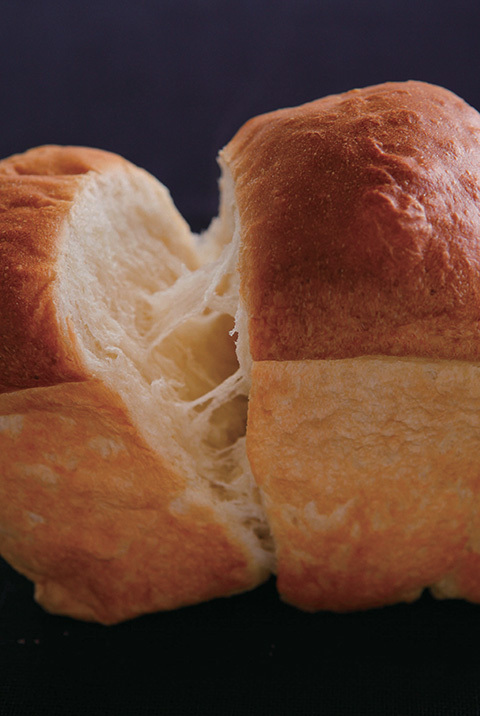 "It looks intricate but surprisingly easy to make. 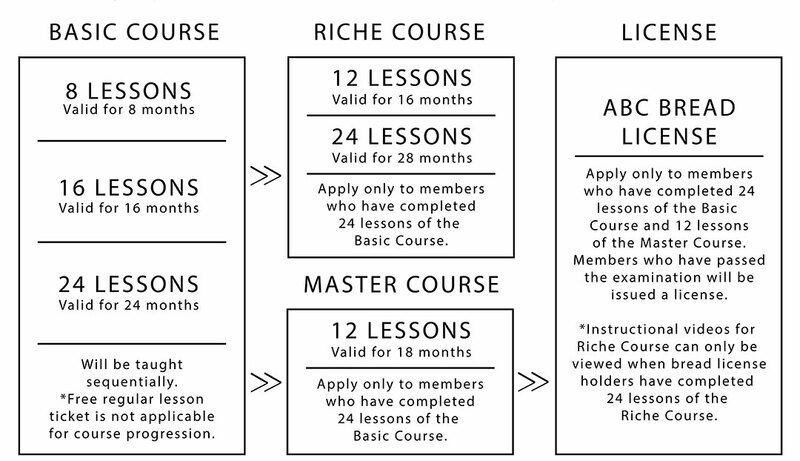 ABC, you did a great job to make it easy and yet elegant." 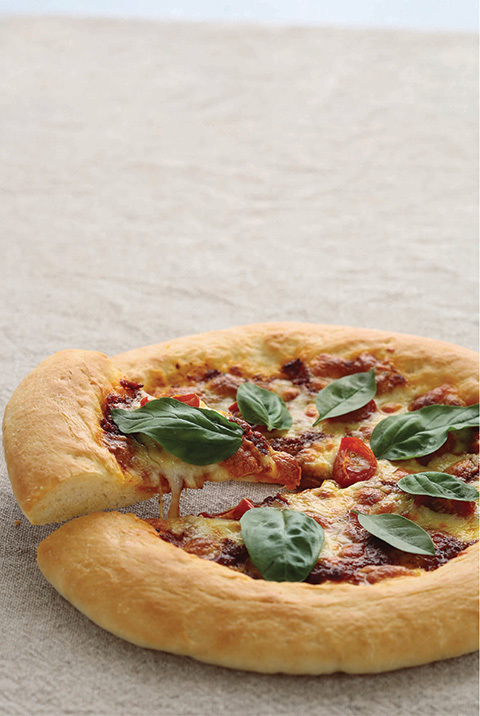 "Best Pizza I have made. 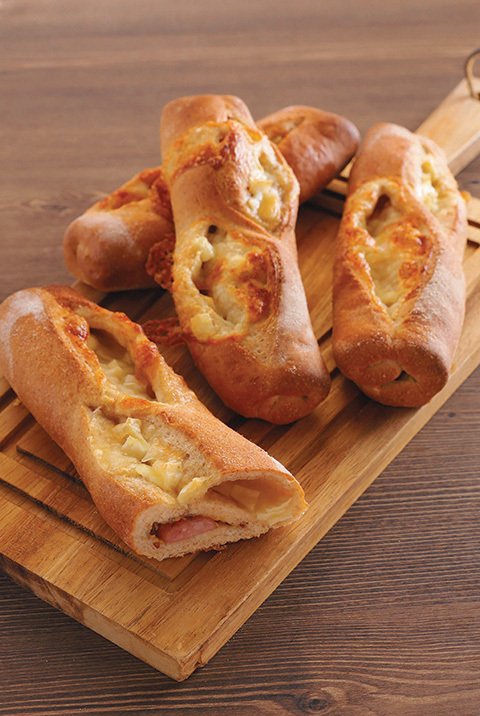 The dough is lovely and delicious, not a normal pizza dough." 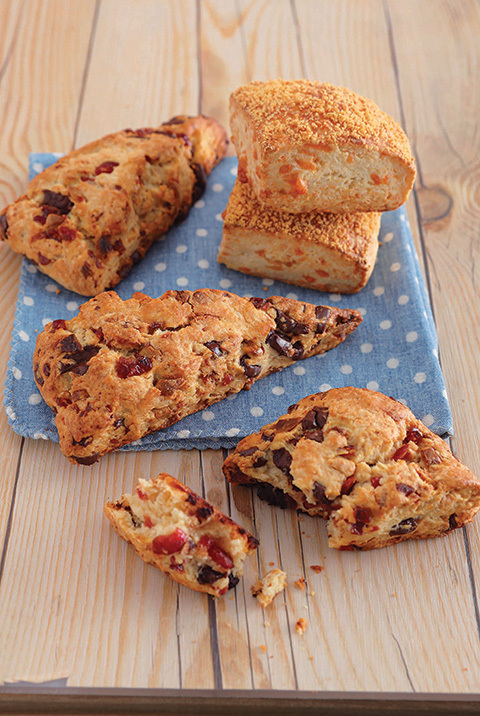 "I never know that making scone is so easy. 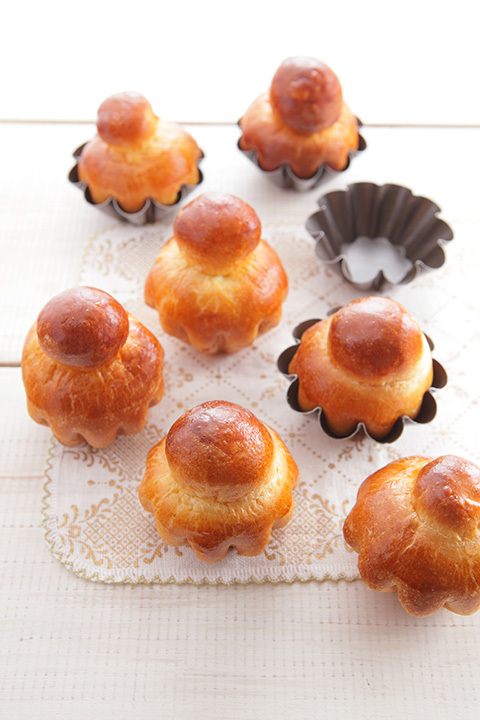 It is yummy and I can have variations! 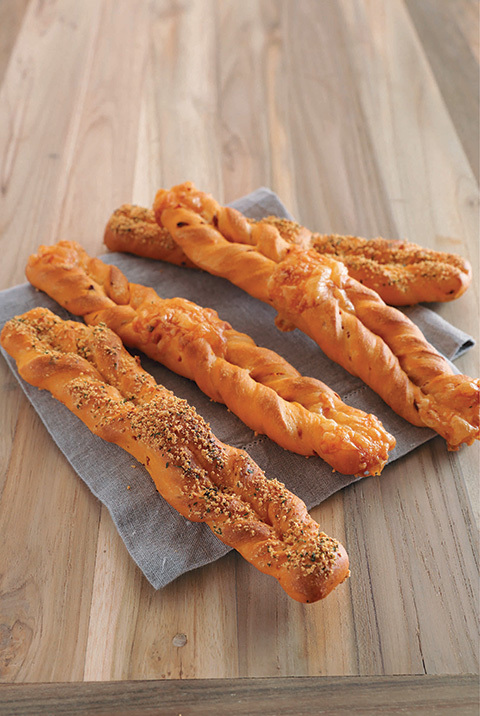 Quick & easy recipe!" 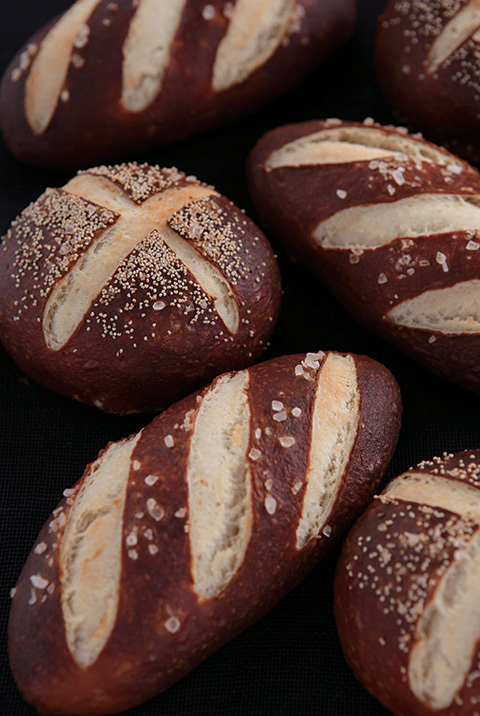 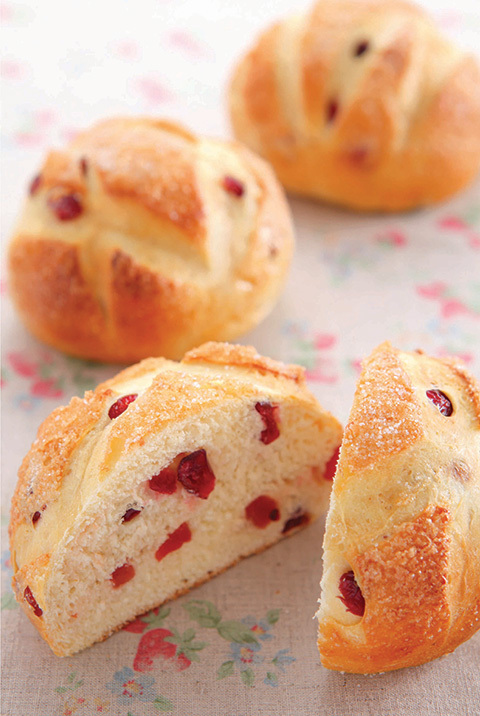 "It is strangely calming and therapeutic to knead and braid the dough. 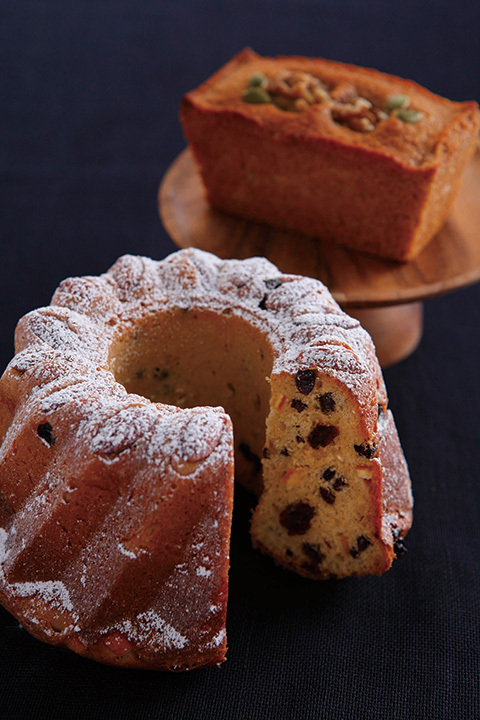 The end product is just so lovely and aromatic." 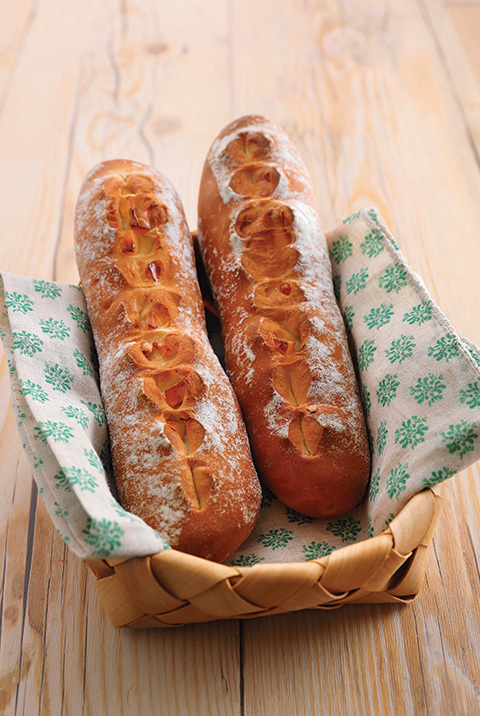 "Bread is beautiful and tasty. 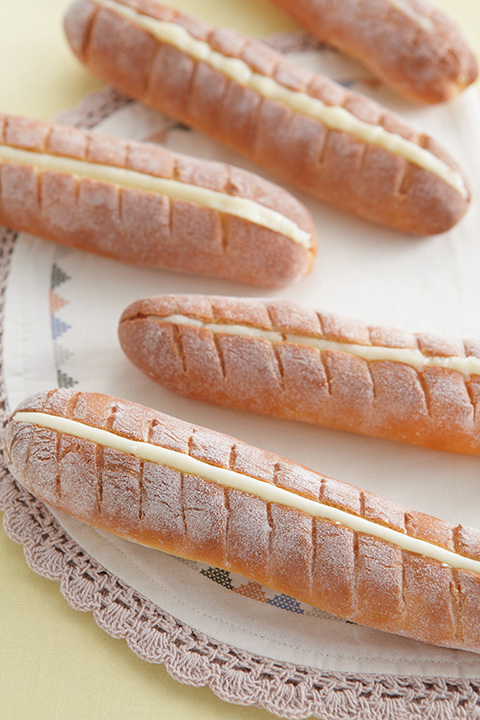 "Bread is soft and fluffy, love the oozing custard cream." 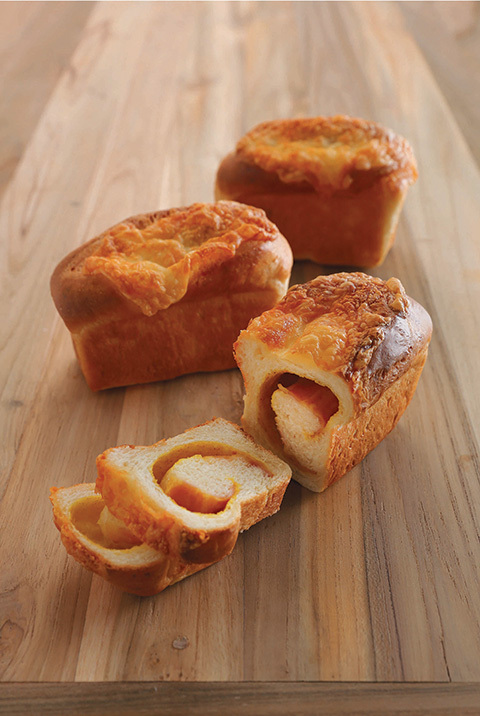 "So delicious and full of flavor and aroma – melt in my mouth!" 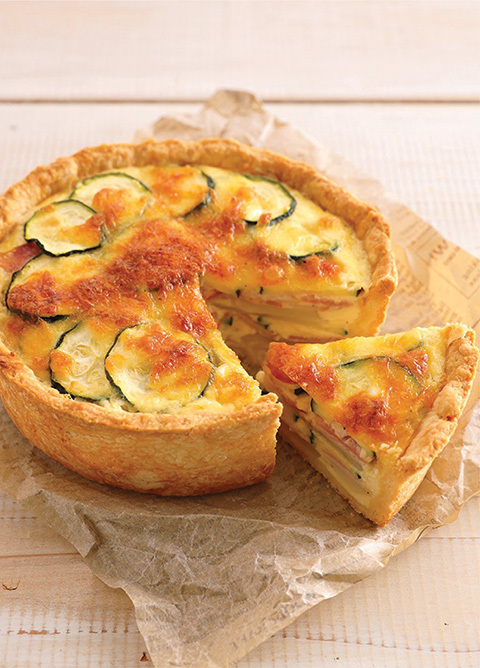 Quiche is a savoury open tart or flan consisting of pastry crust filled with bacon and zucchini. 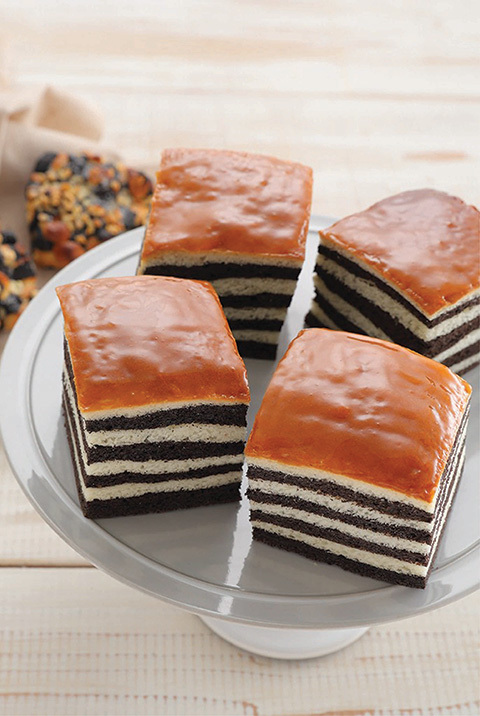 Blanc Noir is a black and white layered bread where the black layered is made up of black cocoa power. 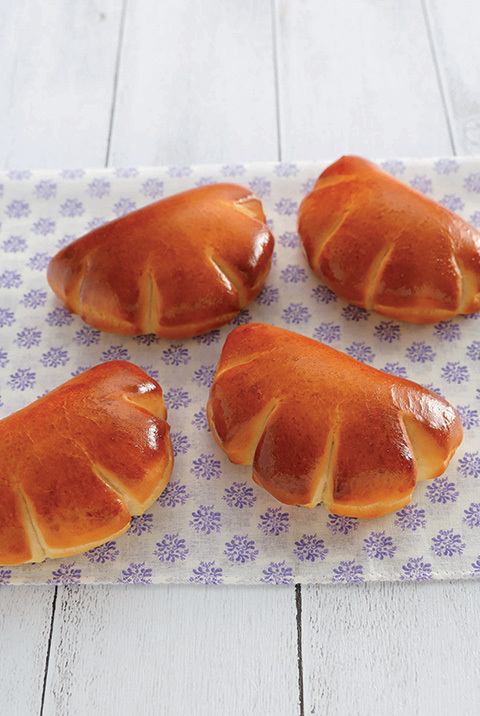 Croquant consist of flat broken pieces of hard sugar candy embedded with nuts. 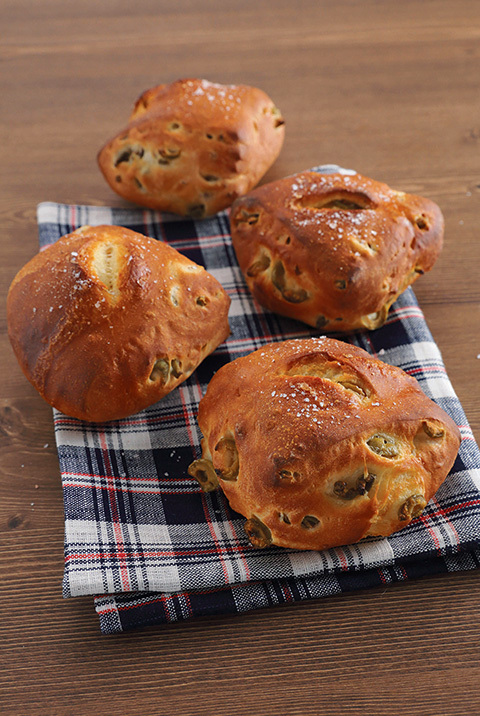 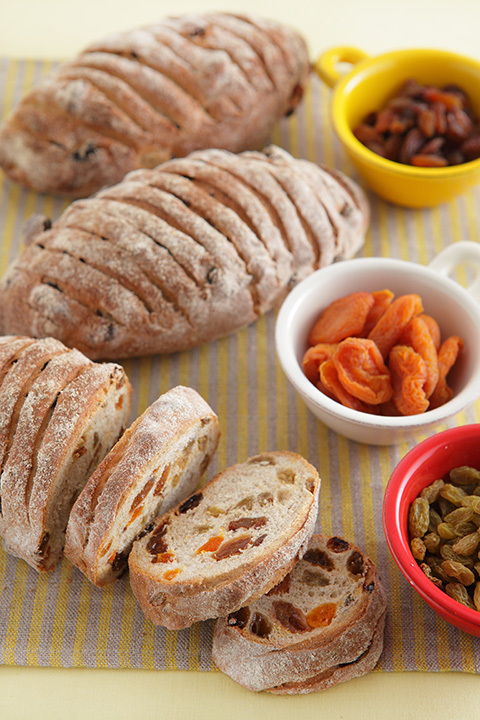 It is a bread made up of green raisins, sultana raisins and dried apricots. 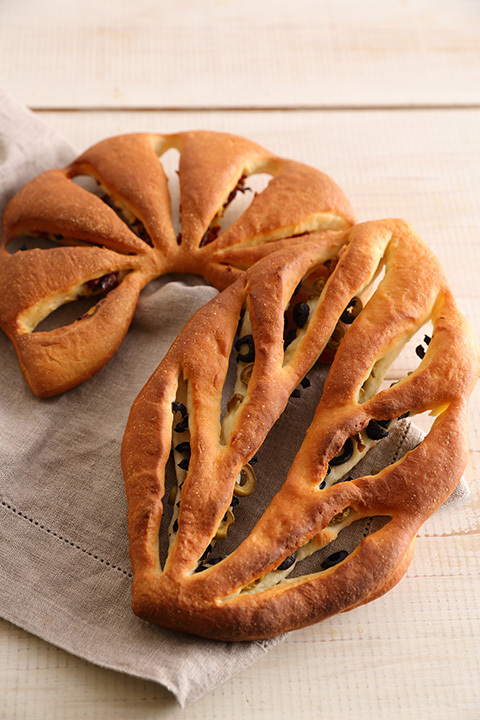 Fougasse is a French bread, filled with olives and sun-dried tomato. 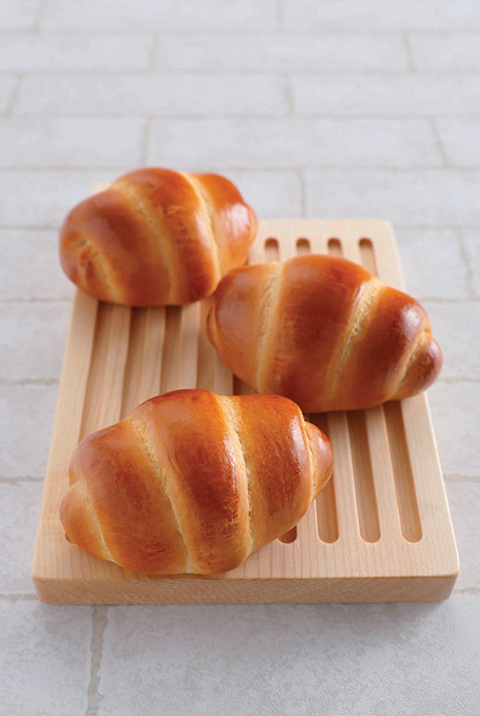 They are sculpted into a pattern resembling an ear of wheat. 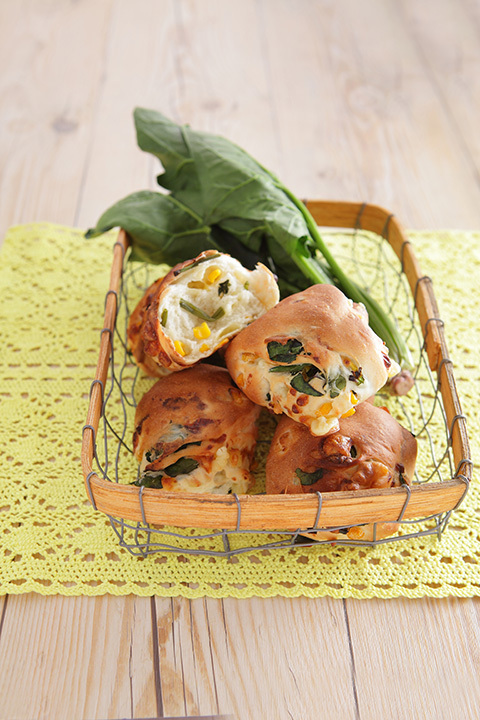 It is a soft bread filled with spinach, canned corn kemels and mozzarella cheese. 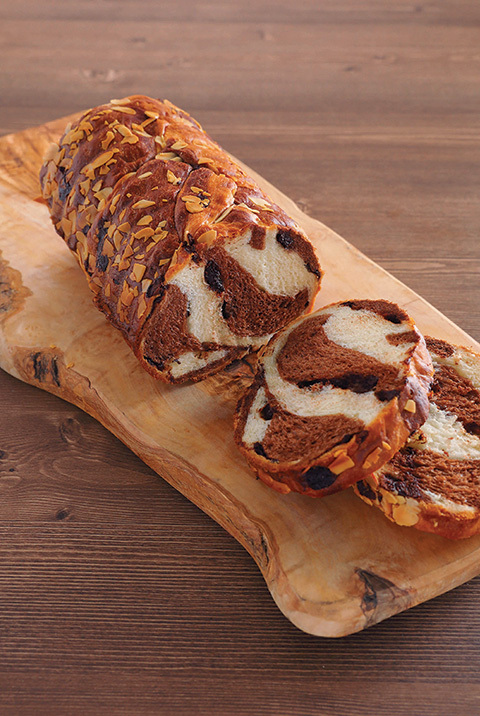 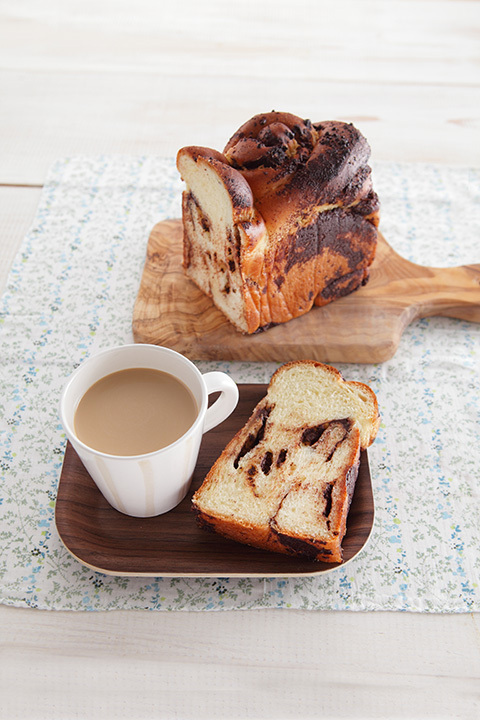 Chocolate Loaf is eye catching with its beautiful swirls of white and chocolate bread. 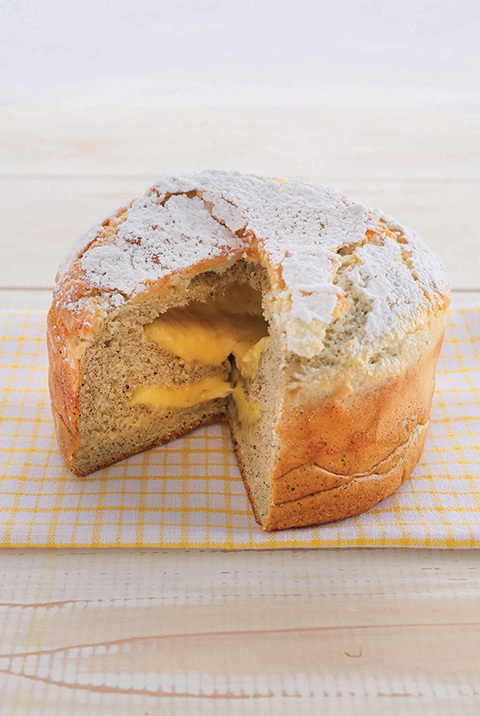 Cream Loaf is a round plain bread loaf. 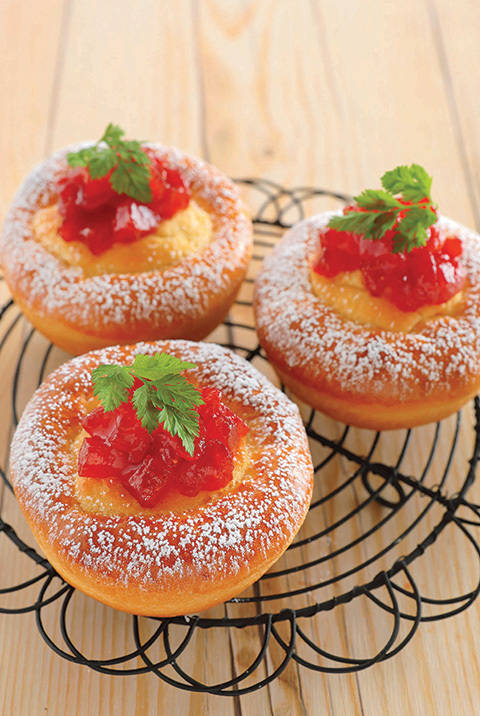 It is a perfect base for your favourite jam. 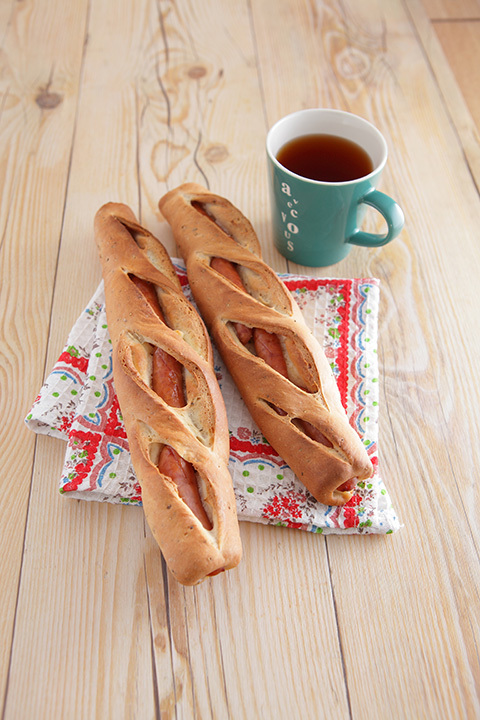 Pepper Wiener is a sausage that is wrapped with coarse black pepper bread. 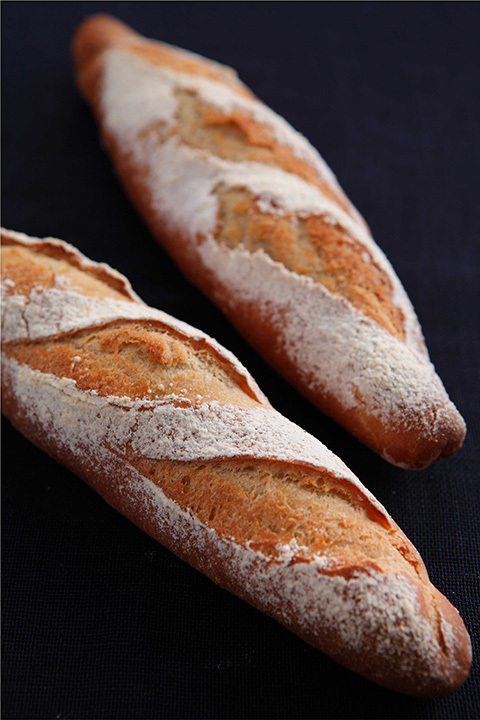 Semolina Stick is a long baguette-like bread, made from olive oil and durum wheat semolina flour. 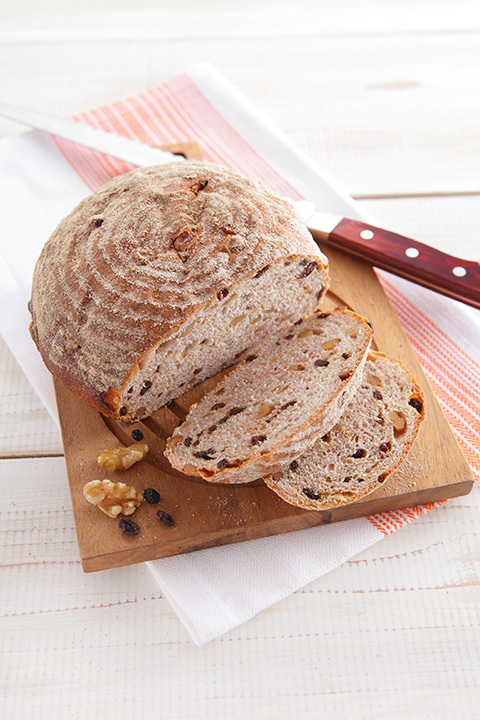 Country Bread is typically a large round loaf, filled with walnuts and dried currants. 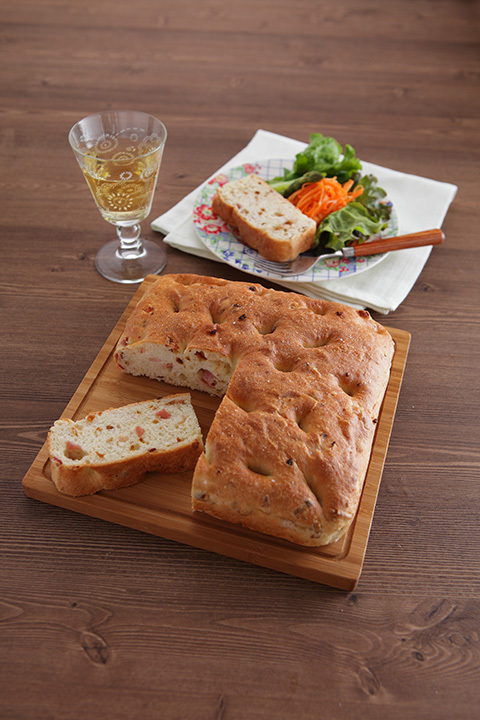 Onion and Potato Focaccia is a flat oven-baked Italian bread, topped with onion and potatoes. 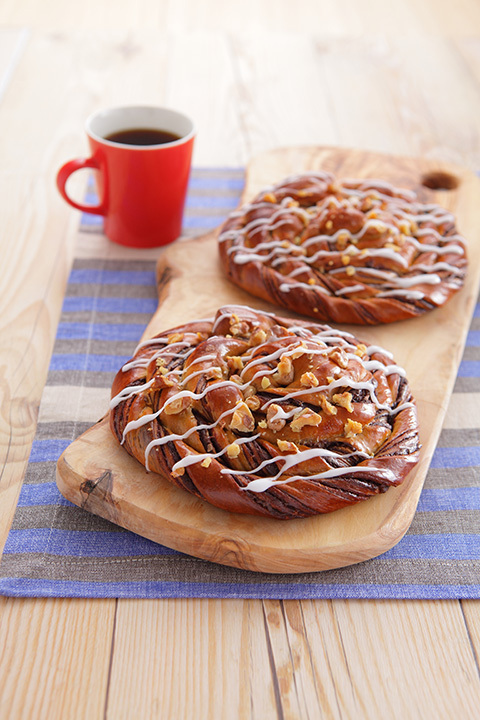 Cinnamon roll is a sweet roll, coated with icing, served commonly in Northern Europe and North America. 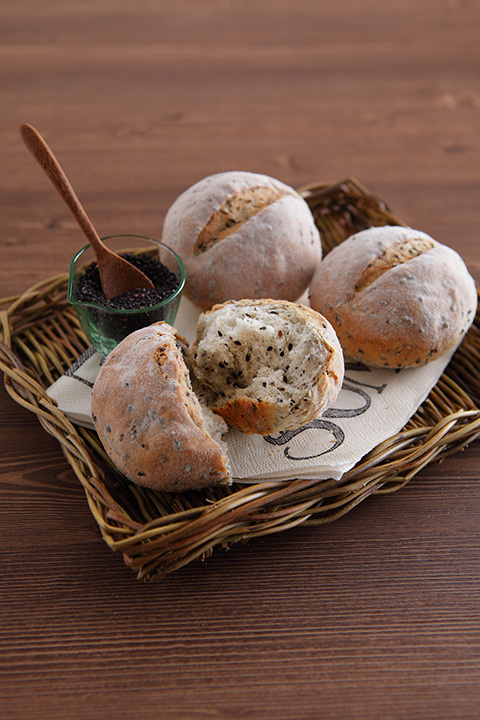 Rice Sesame is a round bread filled with black sesame, sprinkled with bamboo powder. 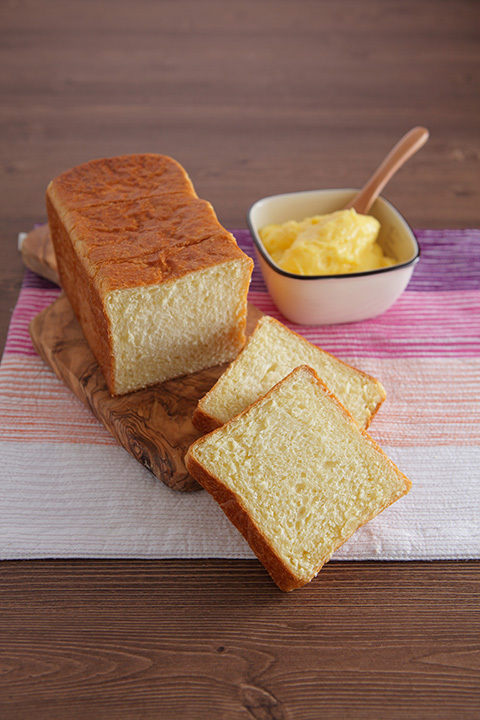 Golden Custard is a loaf of bread that is made up of mainly butter and egg yolk. 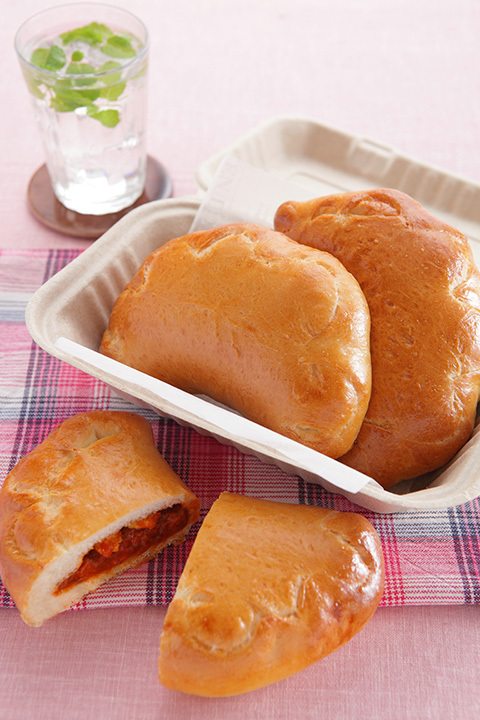 Calzone is an Italian oven-baked folded pizza that originated in Naples, stuffed with egg, cheese and meat sauce. 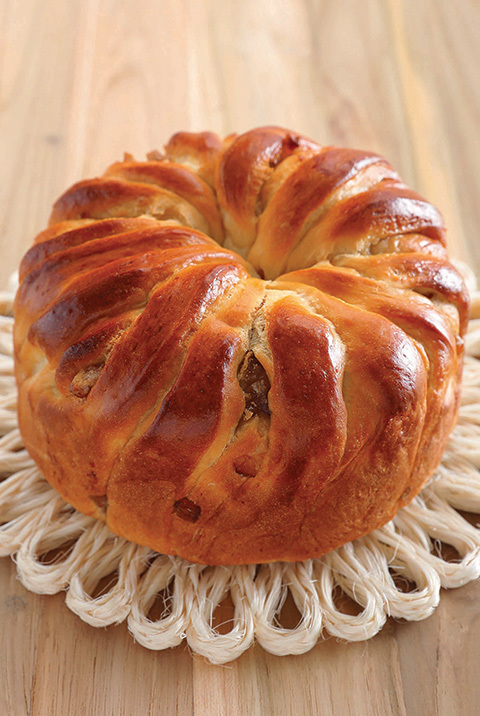 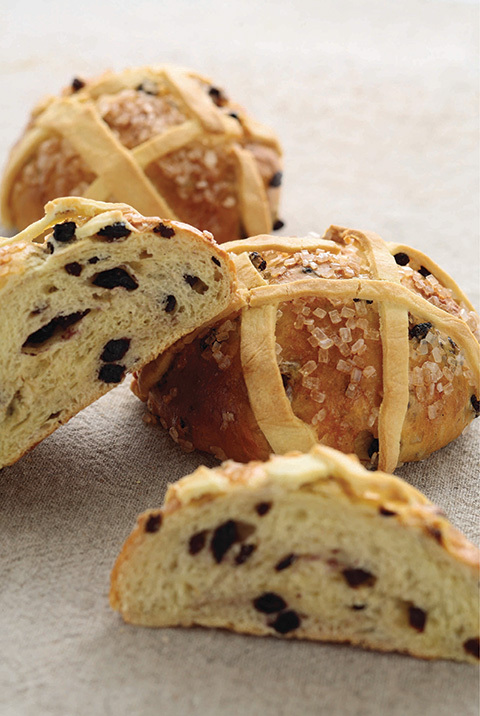 Café Chocolat is a swirling chocolate bread, topped with icing sugar and walnut. 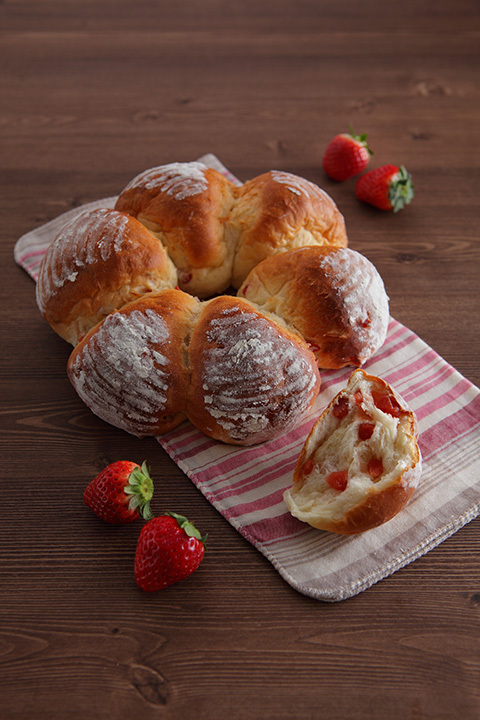 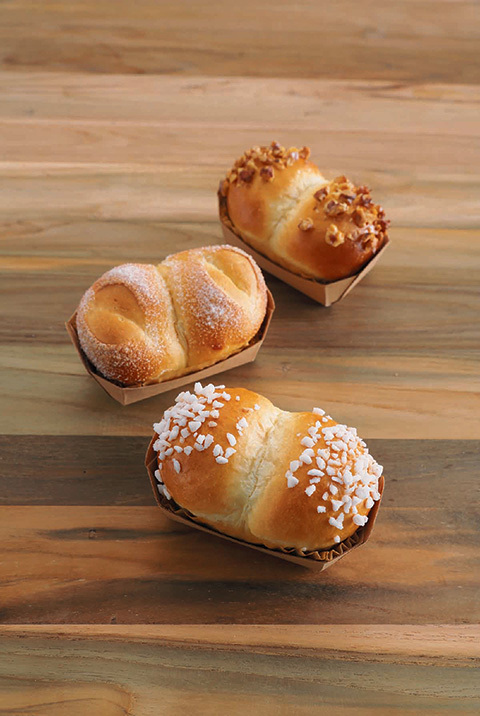 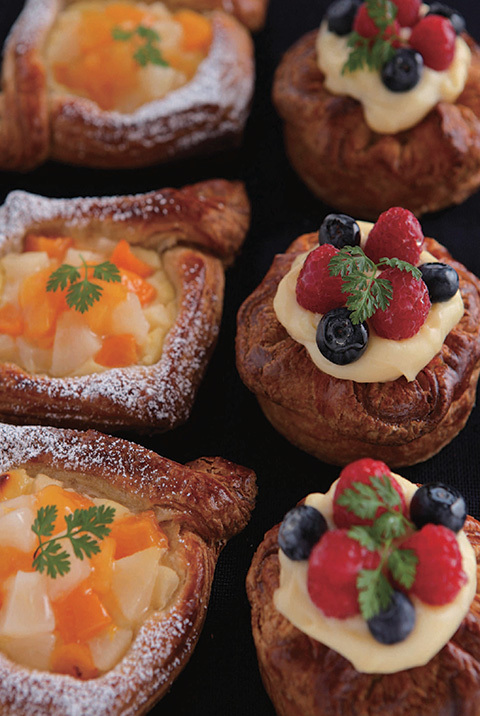 Brioche is a pastry of French origin that is like a highly enriched bread, and whose high egg and butter content give it a rich and tender crumb. 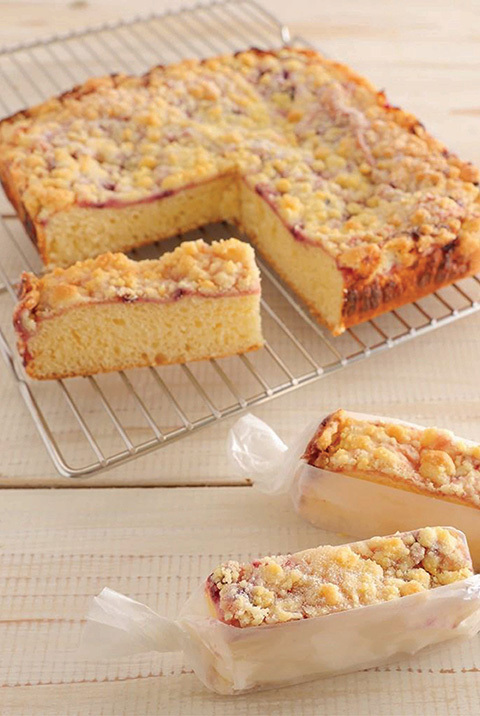 Dark Cherry Streusel is a crumbly topping of flour, butter, icing sugar and dark cherry cream that is baked on top of bread. 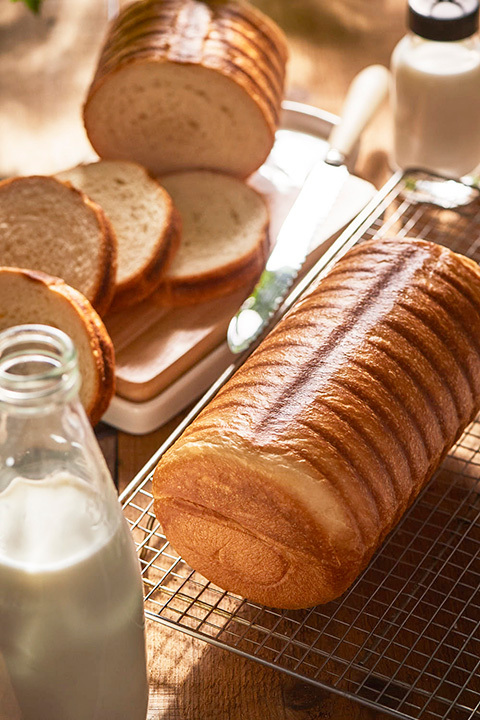 Bake a plain loaf of round bread and hollow the inner part of the bread. 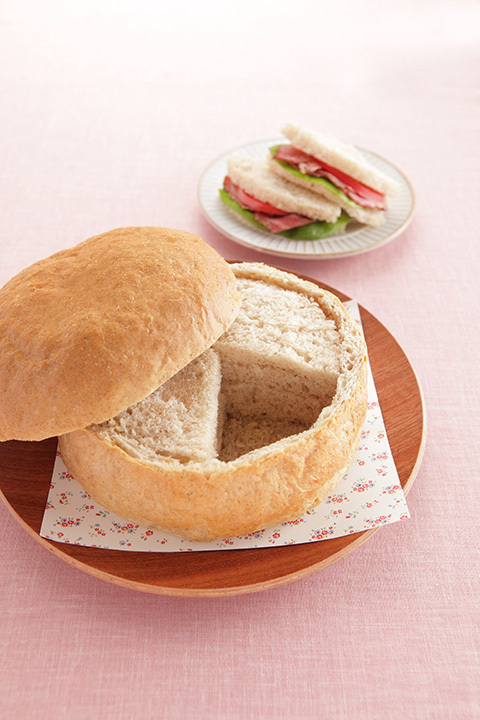 Slice the inner bread to make sandwiches and tuck them back in the loaf just like a basket. 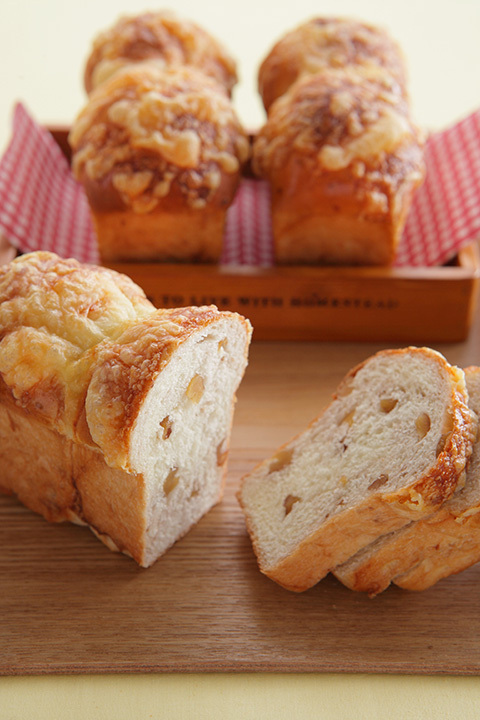 It is a bread with walnut on the inside and cheese baked on the outside of the bread. 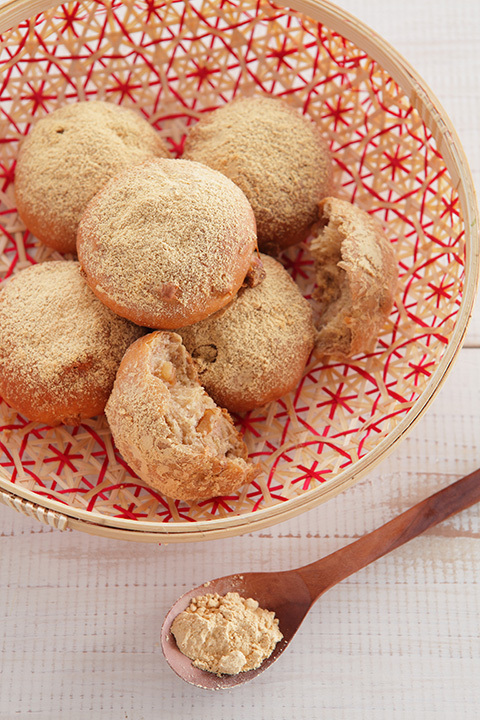 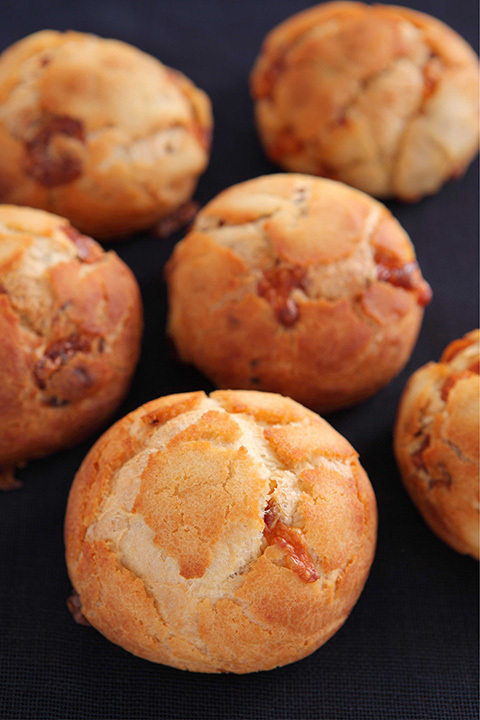 Kinako Walnut are small little round bread that is made up of roasted soybean flour and walnut. 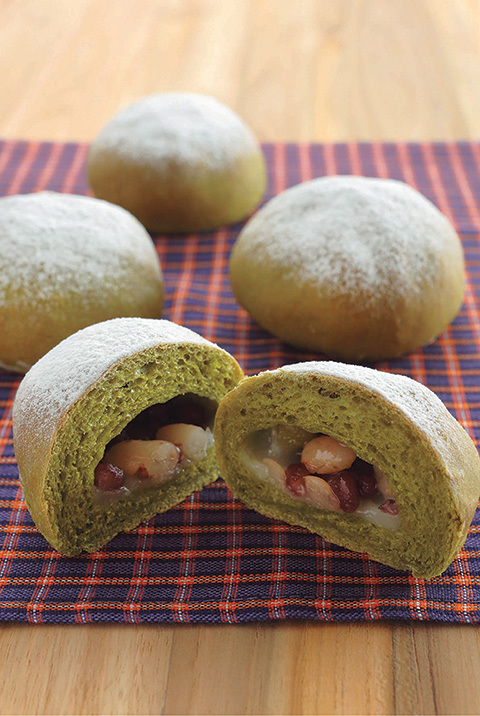 And it is sprinkled with roasted soybean flour when it is done. 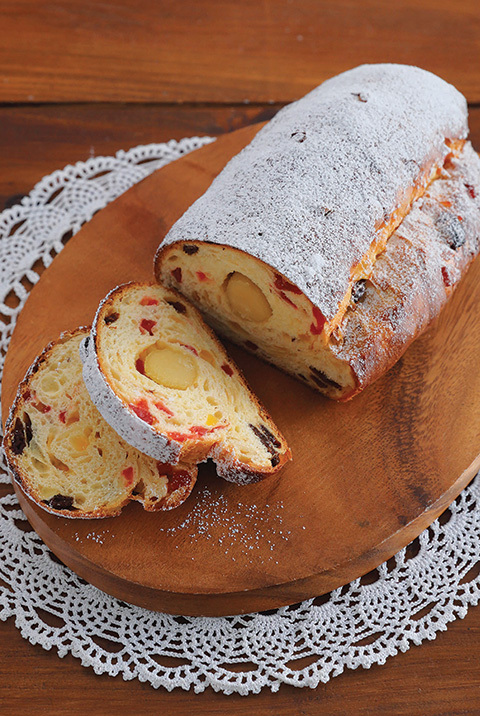 Panettone is an Italian type of sweet bread loaf originally from Milan, filled with lemon peels, rum raisins, dried cranberries and pearl sugar, sprinkled with snow powder. 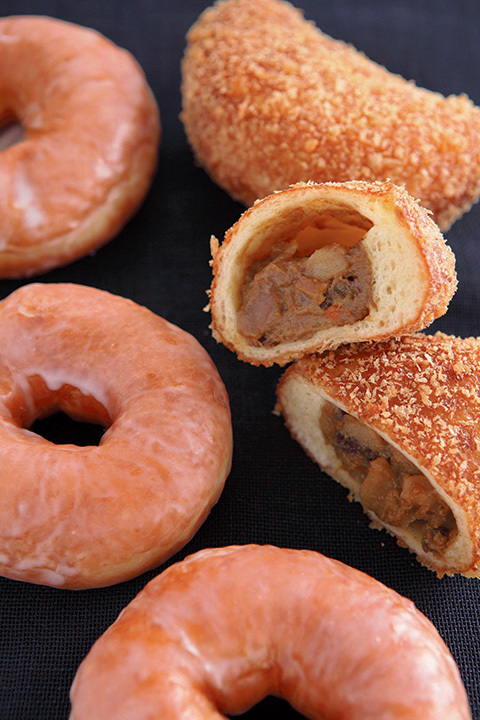 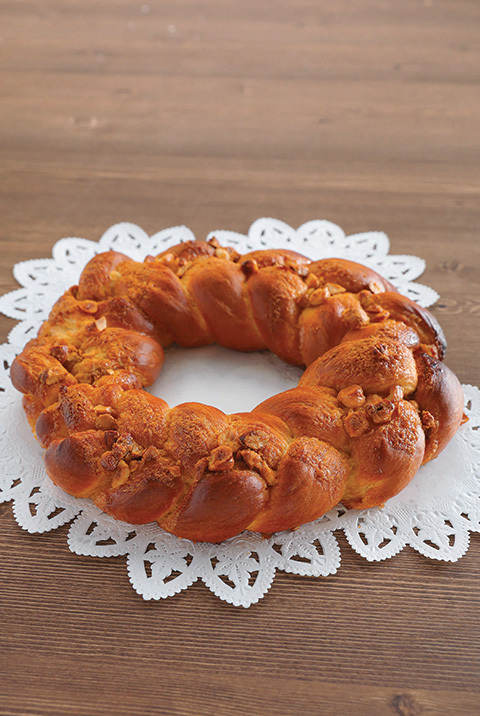 Kouglof is a german tasty bread, best eaten with coffee. 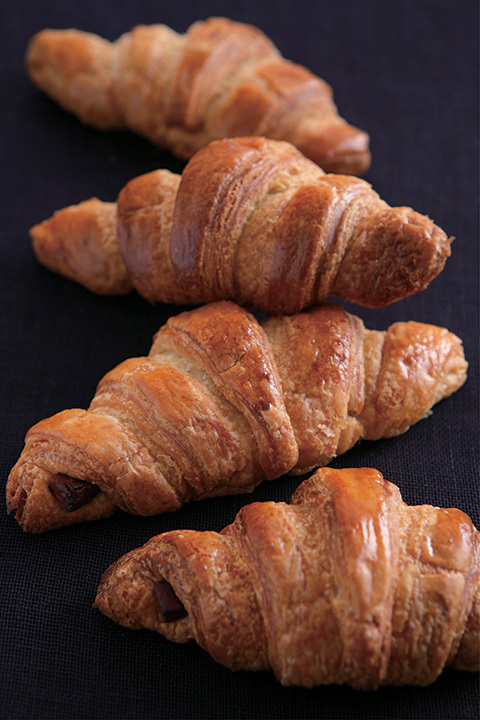 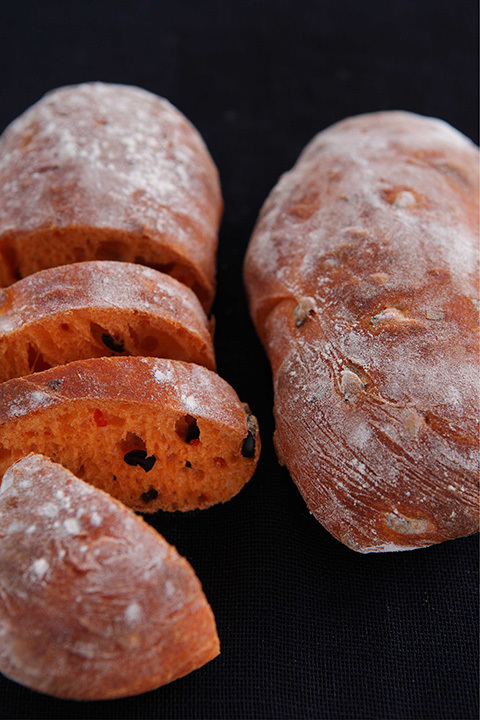 Pain d'Epices is a french bread filled with lots of aromatic spices and nuts.